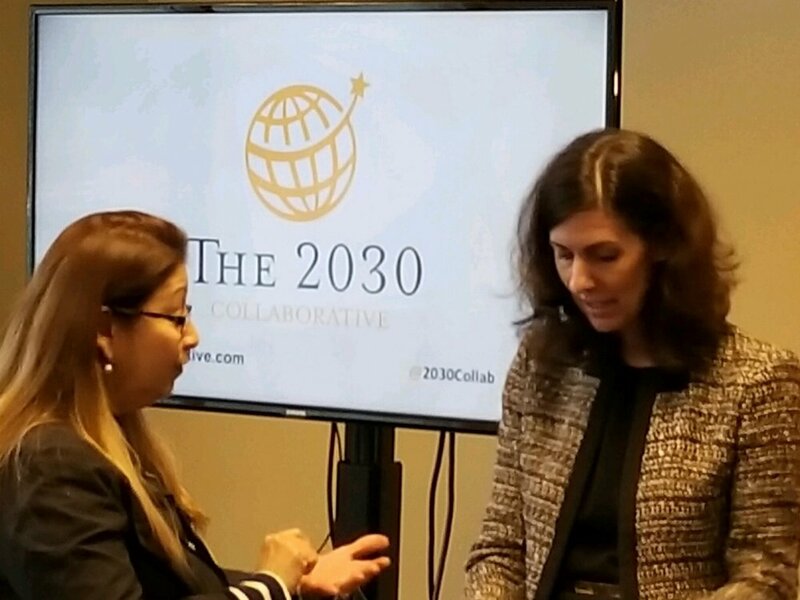 The 2030 Collaborative was proud to support the fourth annual M3 Conference (Mobilizing Medical Missions) again this year at Lakewood Church. Dr. Paul Osteen, a vascular surgeon and pastor at the church, hosts this conference to gather leading medical missionaries and other faith-based NGO leaders for an inspirational and educational retreat on the role of medical missions for the church, faith-based nonprofit organizations, and advocacy as Christian practices. We are honored that Dr. Osteen also sits on our Advisory Board. I spoke this year in a breakout session on Saturday, February 23 on “The End of Hunger: A Renewed Hope for Feeding the World” (which consequently is the title of our forthcoming book with InterVarsity Press to release in October 2019!). In this session, I provided an introduction to the issues of global nutrition, hunger, and food security. We reviewed the amazing momentum of cutting hunger in half over the last 25 years, but the rising worry about a growing increase in hunger due to conflict and climate change. We discussed the First 1,000 Days, and why this window of time was so critical to combatting anemia, stunting, and lifelong chronic disease. Finally, we talked about what WE can do to intervene. With the practice of advocacy, we can champion global nutrition in the global health account to provide millions of children the chance to survive in the midst of starvation. Last year alone, USAID saved the lives of 22 million children from hunger. As a chance to practice advocacy, we offered the attendees the chance to sign the postcard below to their Senator or Representative. 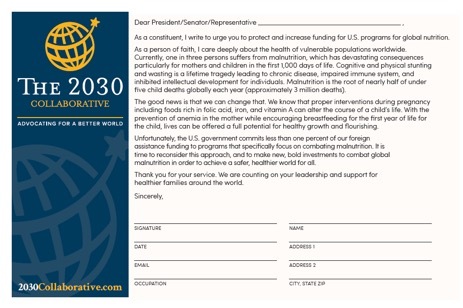 Then, the following week, we took those cards, largely to Senator Cornyn (R-TX) office, and delivered them to the various Congressional Members on the Hill in Washington D.C. during a Faith-Based Advocacy Day for Nutrition. We were thrilled to have this opportunity to partner once again with M3 to engage leaders in medical missions in advocacy to save the lives of millions worldwide.